Today for sale I have the bikes that i have grown to big for! These bikes are in very good condition, but need a little tune-up to get running, not much is needed to get them started! I will be letting them go fairly cheap! If you want to make a TRADE.... let me know! Please email if you have any questions! 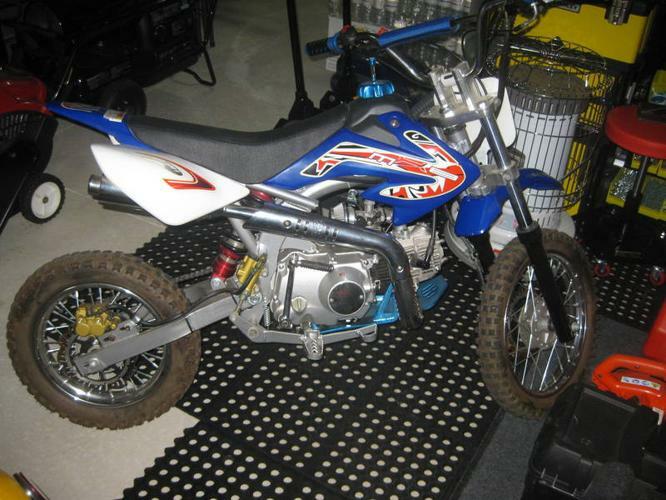 110cc Blue Dirt Bike; $200! 110cc Yellow Super Bike; VERY fast; $250! The two choppers are very hard to find now! If you want both i can work out a deal! SEND ME AN OFFER IF YOU WANT!